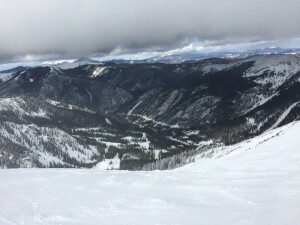 The view from the top of Kachina Peak at Taos Ski Valley. 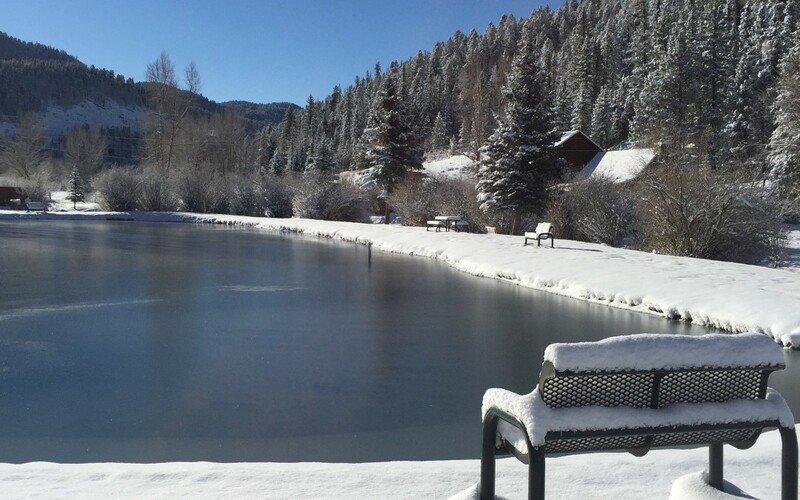 It has been another great winter at the Rio Colorado Cabins. We had a ton of early snow in November and December, which was great since we had much warmer weather in February and March this year. We appreciated everyone who came out to join us this winter for some fun in the snow, and hope you enjoyed your time in the winter mountains. Of course our preferred activity in the winter is skiing and we had a great ski season this year. We usually go skiing at least once a week during the winter, our sons Josh and Zach usually go more often. We even had a chance to go ski Taos Ski Valley! 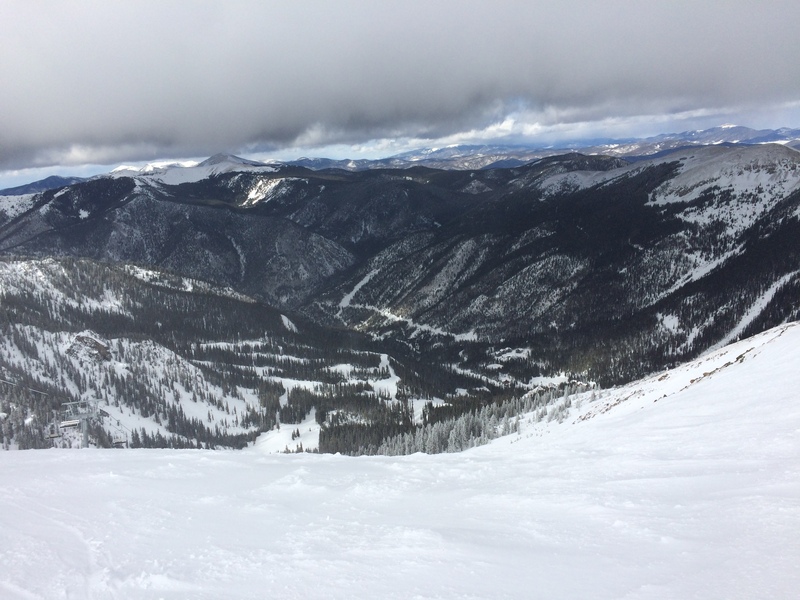 If you haven’t put Taos on your list of ski areas you need to add it. We had a great day of skiing and even made a couple trips up Kachina Peak, the new lift that provides access to some of the craziest terrain I have skied in quite some time. Of course for lunch we had to stop at the Bavarian a nice little German themed restaurant at the bottom of Lift 4. We enjoy playing and having fun in the winter just like every other season, but it’s not all fun and games. Winter keeps us pretty busy. The usual things like plowing, shoveling, and sweeping snow takes up a lot of our time. 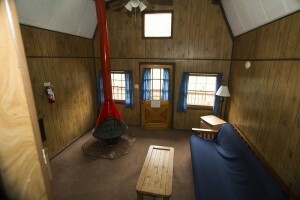 We are also able to work on some of our indoor projects during the winter. 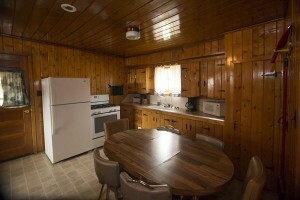 This year we were able to finish our remodels of Cabins 4 and 5. Cabin 5 needed the loft bedroom and living room completed so we removed the old paneling, installed new pine tongue and groove walls, installed new flooring, new baseboard heaters and a wood burning stove. 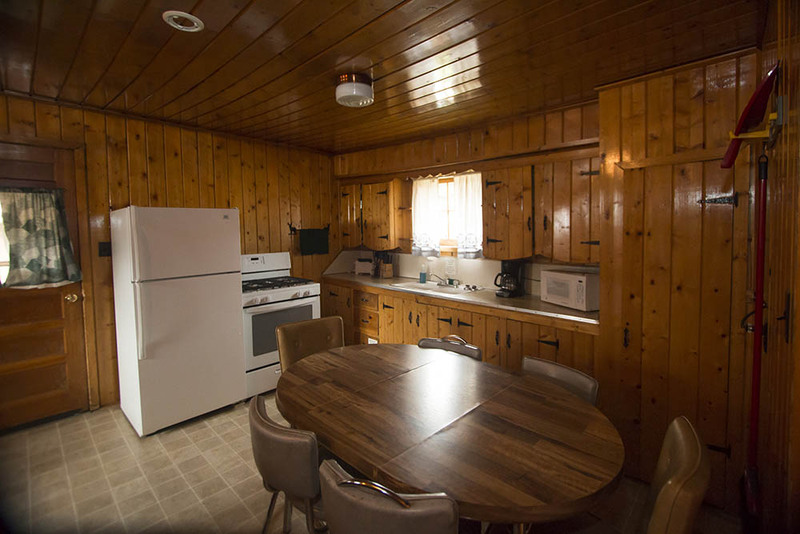 Cabin 4 received an upgrade to the kitchen, with new kitchen cabinets and new flooring throughout the whole cabin. We think you will enjoy the changes. Here are a few before and after photos. Now that spring is trying to arrive our focus is shifting outdoors. 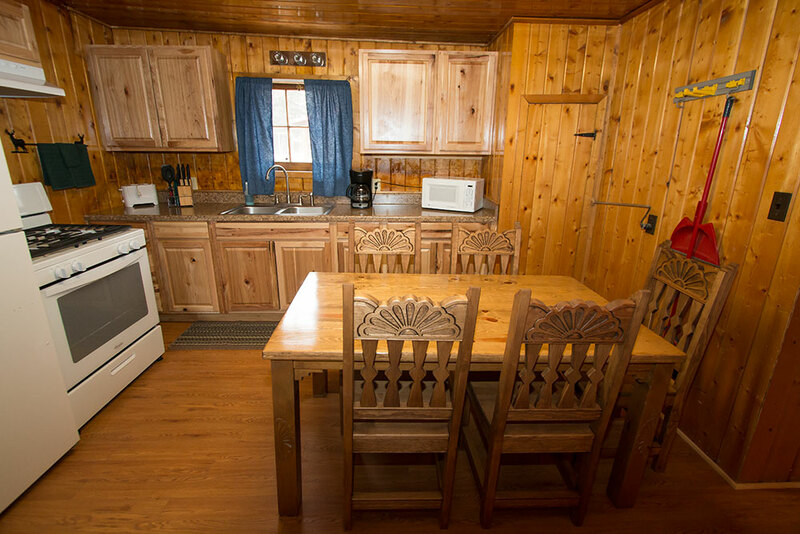 We have a few things planned for Spring projects mostly cleaning up from winter, staining some of the cabins, maybe replacing a porch or two, and perhaps a few other things too. Spring always goes by quickly and it seems like it is hard between snow storms and the rain and mud to get everything finished that we want to before the busy summer season. Every year for Easter our Community comes together and puts on a great Easter Egg hunt for all the children both resident’s and tourists. Folks from the town donate candy and our friend Tori organizes the event and fills about 2500-3000 eggs (I am sure she has a little help). We typically hold the hunt at the Town Park but this year we decided to change it up a bit and have the event here at the Rio Colorado. 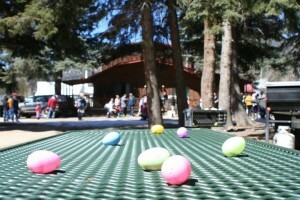 We had lots of folks help hide the eggs over most of our property, and about 40 children that participated in the hunt. 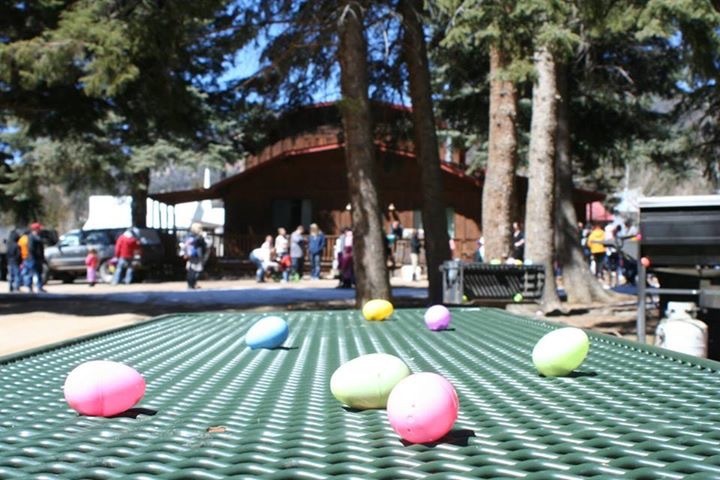 You would have thought that with that many children they would have found all the eggs, but our housekeeping and maintenance crew has still been finding them over this last week. It was a great event to host and we had a lot of fun. Maybe we will turn this into an annual event! Well that almost catches us up to date with all that has been going on over the last two months here at the Rio Colorado. Spring is slowly arriving. Our Spring usually consists of some nice days, some snow storms, some sunshine, wind, rain and a bit of mud. 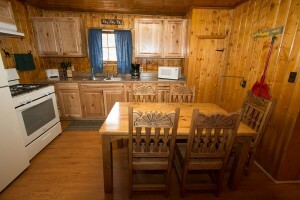 Spring is a perfect time to come visit if you are looking for some peace and quiet. If the weather is nice you can go for a walk or a short hike, or you might just wake up to 6 inches of snow like we did on April 1st. 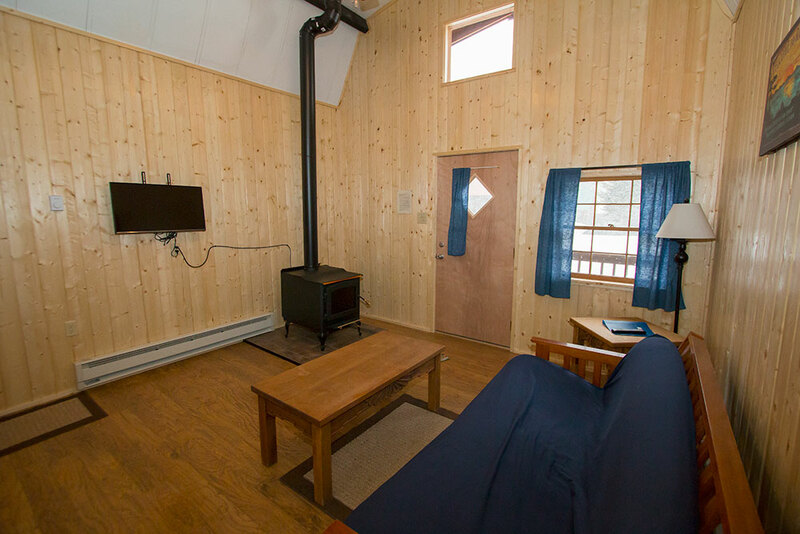 So if you are feeling adventurous this spring or looking to just get away from it all, unwind, unplug and recharge a bit, give us a call, we look forward to seeing you!